As a paranormal author and researcher often times I’m asked what’s a good way to maintain focus and mental clarity, especially when it comes to dealing with the supernatural? My answer is always this…. Start the day off by eating healthy. It makes for a more productive, more successful day!! Yes, meditation is phenomenal and I also work with candles, incense and crystals…. And my Spirit Guides and the Angelic Realm, but I still workout every single day and eat right. Take care of YOU and it’ll make life all the more worth while! For example, here’s how I started my Sunday today… Apple and cranberry oatmeal with sliced bananas, sprinkled with granola…. Yes, please!! YUM!! Remember…. YOU ARE AWESOME, so take care of yourself!!! Nah… not really. Don’t worry, I would never do that to any of you because you all rock and I love you guys!! But… the reason for my crazy, abrupt title is…. Being an empath is not always an easy thing to be. And for those of us who have this ability, we must learn how to control the sudden changes that we encounter emotionally, mentally and physically. Many of us consider this ability as a curse, like I used to do. But as the years went on and I learned how to live with my ability, I now consider it as a gift. Being an empath is a blessing to me. It’s taught me how to be more understanding and compassionate to others. I’ve also learned how, through meditation and the protection of white light and my spirit guides, to block negative energy. I use a technique that I call “bubbling”. And what that means is that when I am around any sort of negativity, for example: be it a negative person or at a haunted location (while researching or investigating), I will envision a bright “bubble” of white light encircling me, and other individuals around me if they ask me to aid them as well. As I’m doing so, that’s when I call upon my spirit guides for assistance. Suddenly, I can feel their warm presence and all of their positive energy around me, immediately negating anything negative and draining. This is how I block anything that doesn’t feel right to me. Being an empath is something very dear to me. However, I didn’t always feel this way. Why? Because growing up with this ability, not knowing what it was, was really scary at times. When I was younger I didn’t know what being an empath even was. All I knew was that I could feel what others were feeling. And not just because they verbalized what they felt (what I felt from them wasn’t due to the power of suggestion either). But I could honestly “feel” what other people were going through… sense they’re happiness… fear… anger… etc, etc…. It wasn’t until my adult years that I discovered my ability as an empath. Like I said, when I was a kid I knew I was different, just didn’t realize exactly what it was. I always felt a little out of place even though I had my friends, I still felt different. Since then, I’ve met many other empaths. How we interpret our abilities depends upon our own perceptions. For me, the vibrational waves of energy that I pick up from others, including from the beautiful Earth, aren’t only what I can detect emotionally, but as I get older, this ability to hone in on these energies is something I can physically feel as well. For instance, happy energies cause me to feel somewhat like an adrenaline rush. Their vibrations are energetic and cheerful. Negative energies make me feel awkward and jittery. Their vibrations cause me to feel a great deal of discomfort. And when someone is in any kind of pain, the vibrational energy surrounding them makes me feel nauseous deep in the pit of my stomach. Now that I’m older, I can easily discern others’ energies from my own. It wasn’t so easily when I was younger, but by learning how to embrace my ability, I have learned how to guard myself and protect my own energies. I am extremely spiritual in my beliefs and have faith in the assistance from my spirit guides and white light protection. Below is an image of a plasma globe. For me, to describe how being an empath is, is as simple as this. The more connections that are made with the plasma globe, the more energy beams that are produced. Sometimes it can be overwhelming and that’s okay because I know how to recharge myself when needed. Which is very important for everyone to do. I love going on nature walks, breathing in the fresh air and feeling the sun’s rays beam down upon my skin. It’s absolutely magical! 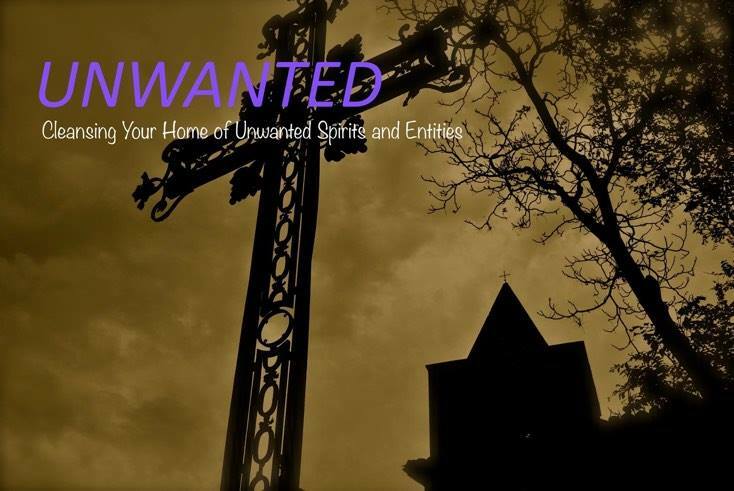 Today I’m welcoming empath/soul treader, Kelen, owner of http://www.unwanted-around.com/. Thank you, Kelen for stopping by! I’m 38 years old, born in the east of France, I’m living in Canada since 3 years 1/2 now. As a lonely child, I was very calm and scared like hell about almost everything, I always thought the song “Fear of the Dark” had been written for me…Later, I studied psychology, learned about occult sciences, paranormal, stepped into meditation, Zen, crystals, cards, auras, Buddhism, symbols and dreams analysis almost ten years ago, I developed my empathic accuracy that works now with people, animals and houses. Your website is called Unwanted, http://www.unwanted-around.com/. What was the driving force behind its creation? At the beginning I didn’t even think about sharing my “gift” or helping people, I wasn’t sure about my feelings, if it was real or a trick played by my mind… First, I had to be sure that I wanted to deal with this part of me almost everyday, and then with people. I waited many years before I finally let myself in and use social media… I don’t like “clichés” and stereotypes as I use on my website, but sometimes you need to put popular words on what you’re dealing with. I don’t like to talk about ghosts or evil or spirits, those come from our fears, our ignorance about the unknown… for me it’s residual or intelligent energies, bad or good, stuck in our world or able to travel by vortex or portal. My strength is that I’m very comfortable with the two sides: very good or very bad, in bright light or darkness, life or death… duality is my soul mate in a perfect balance. On your site you mention how you can feel the energies of the unexplained. What has that been like for you and how would you consider this ability, good or bad? I guess it’s a family story, mixed with gypsy blood and bohemian origins on my father’s side, my great grandmother was a natural healer, the village “shaman”, her daughter was a tarot reader and passionate about occult sciences, my dad does astrology and has a very strong intuition…I grew up in Europe where houses can be 1000 years old, carrying a lot of energies and stories inside ..when I was younger I wasn’t sure about my perception, if it was a gift or a curse! It took me a few years before talking about it and starting to help people… Empaths are awake about their environment, energies, vibes… when you realize there’s something “different” inside you, you need to understand, it’s like learning a new language. For me now it’s having a kind of a permanent decoder and be able to “feel, hear and see” what’s behind. Mind sharing with us some of your experiences and were they frightening or positive in nature, or maybe even both? 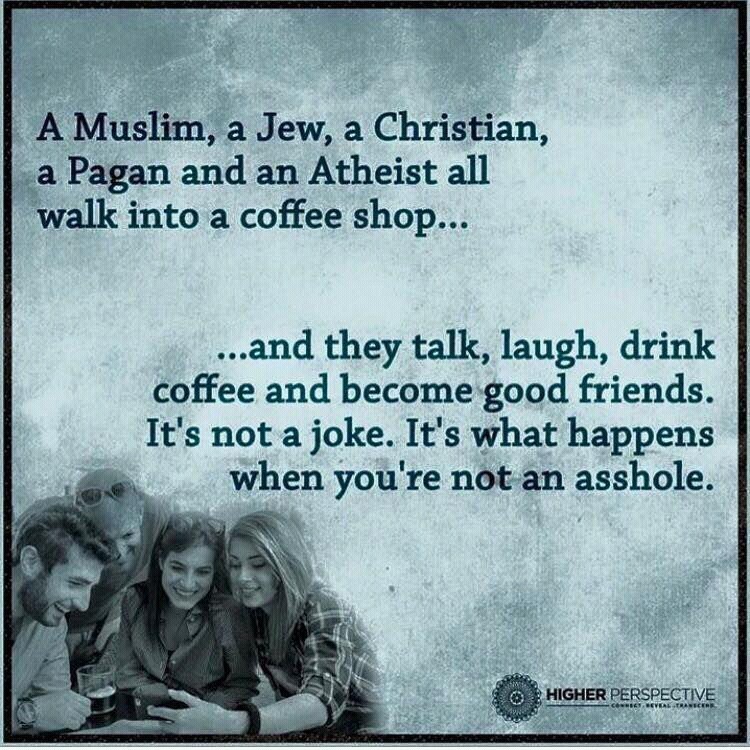 We have to deal with nice people or very bad people in life, residual or intelligent energies are alike. I have a few stories and good or bad memories, but it’s usually good and positive experiences… especially with people I meet. Sad stories are connected with bad endings… violent death like suicide, alcohol trouble, violence, murder… the perfect cocktail to have residual energies. 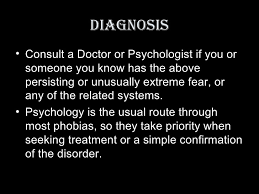 Also on your site you talk about the symptoms of having the presence of unwanted energies. What are some of the signs that people may experience? – You frequently experience cold spots, or a room temperature dramatically drops. – You hear voices, music, or smells such as perfume or cigar smoke, or feel being touched somewhere on your body. – You see shadows move across the room, or out of the corner of your eye. – You often feel that you’re being watched or get that chilling feeling that makes your hair on your arms stand up. – Items or furniture in your home move, disappear, then reappear frequently. – You see orbs, flashes of light, or mists. – You have a bad feeling or feeling anxious, nauseous in specific spots of the house. – Or you simply moved to a new house and you want to be sure that it’s clean from negatives energies. You even discuss dreams and symbols analysis. Share with everyone a little about that. We spend almost one third or half of our lives asleep. I realized how important messages, symbols or others secrets in our lucid dreaming could be. The analysis is not a simple act as opening a dream dictionary and finding the meaning. Environment, feelings, sensations, people, light, location… every single part and details of the dream are related with the most important thing: symbols. It took me a few years of research, analysis to understand my own dreams, now to provide advice and interpretations for people, reminds me how powerful dreams are in our spiritual leader life. Tell me what you dream about, I’ll tell you who you are and where you’ll go! Tell us about the types of services you provide and how can people contact you? I do dream analysis as a consultant, you can reach me by phone or email, give me a few lines about your dream and I will provide a complete file with analysis, symbols and meaning. For my principal “activity” it’s very simple: contact me by email, I will after a short interview and analysis, set an appointment at your place. I will walk around the house and let you know about my feelings. As you said earlier, I have my own website (home made) and I’m active on Twitter, Facebook, and recently (thanks to you) on wordpress..
What’s your advice when dealing with unwanted energies? Stay away from internet advice, usually it’s the best way to make it worse. Ghost Hunters are very popular, but beside the fact they want proof and a lot of views on youtube, they don’t really provide help, it’s more a hobby than anything else. I have a lot of respect for them, but as people can see in those “shows” when it starts to be excessively strong or powerful they ask for help! Mediums, psychics or souls treaders are the most qualified to do something really efficient and provide real help. A little tip: Think about cleaning yourself before and after, and believe! Any positive words of wisdom? As it’s written on my website, I’m grateful for every blessing the Universe has and will ever create for me! I would like to sincerely thank you for your interest and your kindness! Today I’m welcoming clairvoyant and spiritual advisor, GreenTara. Thank you, GreenTara for stopping by! I’m a Mom, a sister, daughter, granddaughter, aunt, friend, foe, partner, co-worker, acquaintance, professional, and like everyone else I wear a mask. I wear a mask to hide my true self, my true feelings, my true thoughts and my true appearance. Until recently, I felt as though I was constantly swimming against the current. Struggling to find my place in society and life, hitting road block after road block and experiencing one disappointment after another. Financial struggles, loss of employment, issues with women, issues with men, among a plethora of other struggles. An overall feeling of disempowerment. It was hard to identify my strengths and gifts. I prefer not to share too much about myself personally out of fear of the physical unknown. Just know that I am an ordinary human being who experiences the same joys, fears, trials, and other life events the same way anyone else does. I am vulnerable and strong, I am shy and outgoing, I am happy and sad. I am not looking to gain anything other than the ability to help other souls in their journey. I come from a long line of spiritually gifted women, although I am probably the first to open up to the criticism and potential ridicule of an endeavour like this. The hard part for me, is talking about myself and putting myself out there advertising my services. Becoming GreenTara has allowed me to finally become who I was meant to become. It has pushed me out of my comfort zone to confront insecurity, fear, potential criticism, while at the same time allowing me to use my divine gifts, experience enlightenment and spiritual transcendence. I have not done this alone. I am fortunate to have the unconditional support of family and friends and a partner who has encouraged me to use my gifts. I am attempting to remove my mask, as difficult as that may be and I am making it my purpose to help others embrace themselves and join me in removing their masks. How did you discover your abilities? My abilities have always been there. As a little girl, I used to “make up” stories about people that I would encounter. These stories would play like a movie in my head and I always assumed that everyone else was able to do the same thing. I doubted my uniqueness. Aside from my never ending interest in all things spiritual or occult in nature, I pushed these thoughts aside and avoided talking too much about them. The older I became and the more life I experienced, the more awareness I had of my empathic and intuitive abilities. It wasn’t until I experienced a time in my life of pure devastation and was left an empty shell that I truly began to embrace my gifts. I had to be completely broken down, with a feeling of complete emptiness and nothingness before I was able to experience my metamorphosis and allow my soul to authenticate itself. This started during my lowest time when conventional medical means of providing relief just didn’t seem to work and in fact, worsened the situation. I sought the help of a very special woman who was a gifted healer who focused on Reiki and shaman healing modalities. She not only helped me through this transition period, but she recognized my gifts and guided me in my current direction. I started to read as many books I could get my hands on, attend workshops, goddess meditations, healing circles and dove head first into the spiritual community. I learned about the Akashic Records after having a reading done and ended up meeting a woman who has become my mentor. I had finally found the vehicle for how to use my gifts to help people. I realized that these stories that were playing in my head when I would look at people were in fact, real stories. Nothing in my life has come easier or more naturally for me. I continue to grow every day spiritually, trusting more and more in my empathic and intuitive abilities. There is nothing more satisfying than the feedback I receive from my clients about the tremendous amount of relief, understanding and completeness that floods them after a reading. There is no greater gift than one that gives back. I’m sure there are many different definitions and thoughts on what intuitive healing is. My interpretation and implementation of intuitive healing is by using the senses to identify energy imbalances in the body. More specifically, the emotional body. I believe that people begin to heal when they become aware of things, especially when it comes to things that they feel, but are unable to explain. I use my intuitive instincts to help people become aware of the root causes for their imbalances, issues and unhealthy patterns of behaviour. When this awareness happens, people can take responsibility for their circumstances through understanding and acceptance and from there the true healing begins. You refer to the Akashic Records when conducting your readings. In your words, what are the Akashic Records and how do you access them? The Akashic Records are basically the energetic data base of the soul. Every soul has it’s own record and that record contains every choice that has ever been made by that soul. A choice refers to every thought, feeling, action and intention. Kind of like that stuff on our computers that we wish we could delete permanently, but are forever stored in the virtual information super highway and have a way of creeping up, resurfacing and wreaking havoc on our lives. I access the records by shifting my consciousness while in a meditative state or slight trance and reciting an ancient prayer to bring complete awareness to the records. From that point, I use a pendulum to dowse for answers to specific questions and scribble down any impressions, thoughts, feelings, sounds or smells that come to me. I use the same method while cooking my famous spaghetti sauce, but unfortunately this method hasn’t been as successful when it comes time to boil the pasta. Finally, I allow myself to sit back and watch the specific stories of past lives that are still influencing people in their lives today. I can tell you that there are times that you would not enjoy being a fly on the wall!! When I access the Akashic Records, I take myself through a self guided visualization in which I envision a massive, beautiful, ornately carved wooden door. I walk through the door and experience a feeling of inner peace that is indescribable. The room looks like one giant, angelic library containing infinite numbers of old books. In the centre of the room is a table and it is on this table that I lay the record of my client for the reading. I do not access the records of anyone without their prior consent. The most important part of this room are the two Akashic Record Guides that help me to locate the soul’s information. I could spend hours in the Akashic Records and actually have to set an alarm to rouse me from my meditative state as I have been known to spend more time than I realized I was spending or had meant to. The warm, peaceful feeling and access to whatever information I desire is incredibly alluring. I access the records outside of a client’s reading for personal reasons, more specifically I look for information to help me on my spiritual path. Being an empath, what methods do you practice to protect yourself from any negative energy that you may pick up while doing a reading? To be honest with you, I don’t try to protect myself from negative energy because it’s this negative energy that’s contributing to the disruption in my client’s life. While I’m meditating and dowsing for information about a client’s past lives, their past life stories play like a movie in which I’m standing right there only not visible to the souls present. I can feel the fear, heartbreak, anguish, hurt and other emotions and physical sensations. I need to be able to allow myself to feel this in order to accurately portray the particular event that I’m witnessing. After every reading, I perform an energy clearing on both the client and myself in the form of a ritual and a prayer. In day to day life, I believe that our abilities as empaths are truly attributed to having a higher consciousness of the oneness of us all. We are able to project and reflect the thoughts and feelings of others because these thoughts and feelings are something that we have experienced before, in either this lifetime or most likely past lifetimes. We cannot identify with something that is not within our frame of reference. If we try too hard to block this consciousness then we are denying both ourselves and others the opportunity to heal. I recharge myself by spending time alone, in meditation. I smudge my home often, using locally grown, Northwestern Ontario sage and infuse my home with Reiki energy. I carry crystals on me, in my purse and display them strategically around my house. I practice daily mantras, in particular the GreenTara mantra which is a mantra of compassion and action, and calls GreenTara as a protector who comes to our aid to relieve us of physical, emotional and spiritual suffering. “Om Tare Tuttare Ture Soha”. What are your views about the paranormal? I have always had an intense interest in the paranormal. 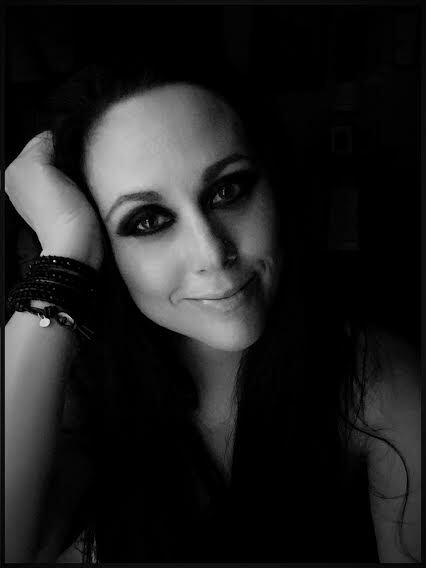 As a child, I devoured Stephen King and other scary novels, watched every horror movie I could get my hands on, played with Ouija boards and was obsessed with haunted houses, alien abduction stories and any stories coming from people with experiences with ghosts. When I was younger I even used to try and hold seances by candlelight. I am to this day, always on the hunt for anything considered to be haunted and have many haunted places on my bucket list to visit, however I am much too aware of things now to be brave enough to even attempt a seance or play with a Ouija board. Nowadays, with the readings I am doing, I am clearing my clients of present and past life entity attachments should they happen to be carrying one around with them. In your bio on your website you mention “soul level”. What does that mean? When I refer to soul level, I am referring to a soul’s divine attributes as they were at the soul’s very inception. It’s pure, clean, virginal, untouched and unsullied. As time goes on, we become watered down and influenced by society, our families, religions, friends among others. We put on a mask, but forget the cape and become what we’re expected to become or what we think we should become and over the time of many lifetimes, we forget who we truly are. We become involved in a fight against our divine nature which leaves us feeling disillusioned, dissatisfied and uninspired. Embracing the divine gifts we have at soul level leads us to a life of completeness and abundance. What are the types of services that you offer and can you give a brief description of each one? I offer a number of different types of readings depending on the needs and interests of the client. This is sort of a two part reading and the most popular type of reading I offer. With this reading, I access the Akashic Records to find out my client’s soul’s original energetic qualities. I also determine what kinds of issues from their past lives are still causing a disturbance in their lives today and then go right back to the past life when the choice was made. Through conscious awareness of the choice that was made, the client is able to be cleared of the energy that is blocking them. We also explore the client’s divine gifts and discuss how they could be used to create better conditions in their life today. This reading is offered in time blocks of 60 minutes, 90 minutes and 120 minutes. The additional time is to allow us to explore more in-depth information and answer more questions that may arise. You can also request a Complete Soul Profile on a child or on a spouse. During this type of reading, I access the Akashic Records while the client is on the phone and I answer questions that the client may have based on the information that I receive. Most of the time, this type of reading will relate past life events to what may be going on with the client in present day. This reading is offered in blocks of 30 minutes, 60 minutes, 90 minutes or 120 minutes depending on how deep and how much information the client would like. This is similar to the Complete Soul Profile only it involves more than one person. This helps both parties to understand one another at soul level. This can be a romantic or intimate relationship, a parent and child, siblings, friends etc. During this type of reading we can explore the past lives that you’ve lived together. This may help to make sense of any disharmony, conflict and issues that may be arising or have already arisen. This reading can also help clients understand each other’s divine gifts and how to support one another in life. An Akashic Meditation is a guided meditation in which I guide you into your own records and assist you in exploring your own story and past lives. This reading is only offered in a 30 minute block of time as that’s just about the maximum amount of time that someone new to the Akashic Records would be able to spend at one time. When it comes to Spiritual and Self Love Coaching, we access the information from the Akashic Records to design an individual path of manifesting, transcendence and transformation. This is all client driven depending on their area of intention and desired area of abundance. I always start the Coaching process with a Complete Soul Profile so we can use this soul level information to assist us on this journey. This is offered in one hour sessions and a package of four is offered at a reduced rate. For those who would like to have a reading, how would they be able to contact you? Telepathic means are usually the best way. Focus your intention on getting a hold of me and expect a call within twenty four hours! Any positive words of enlightenment you’d care to share? Be brave and take off the mask. Take responsibility for the choices in your life that have lead you to your current circumstance and become the Creator of your own Experience. Trust your instincts. If a potential choice gives you a feeling of lightness then that is the right choice. If a potential choice makes you feel heavy inside then you might want to explore a different choice. Lastly, if you’re experiencing poltergeist activity in your home, you might want to consider calling the Ghostbusters.